Last week I had an impromptu sleepover at a friends which would be all well and good but I was without my make up bag. My drawer at work was stashed with many things, including the change of clothing required, toothbrush and deodorant but alas I'd recently taken home my make up bag so that I could update it a little. Bad timing. Whilst I'll happily pop to Tesco at the weekend make up free there was no way I'd be doing so in the office so off to Superdrug I took myself to take advantage and stock up on a full face and try some products, new and that were on my radar but I'd been unable to justify purchasing until now. I must start by saying this was not a cheap endeavour at £60 despite taking advantage of the 3 for 2 offers but I did include some make up brushes due to my product choices; of course I could've kept things really pair down and picked things I could apply with my fingers but that wasn't what this shopping trip was about. I'm also writing this post the evening I purchased the items so as the title reveals it's a first impression rather than after subsequent use and further testing. My first stop was the Bourjois counter as I knew I wanted to try the Bourjois City Radiance Foundation in the shade Vanilla and matching Bourjois Radiance Reveal Concealer in shade Medium. Without having applied any moisturiser and forgoing primer on this occasion I thought the claims of hydrating formula would assist as well as needing the fresh and luminous complexion it promised. At first I went in using the Eco Tools Foundation Brush (more on my brush choice in a moment) which I didn't like at all although it was a push as I haven't used this style in years. Instead I found that working in with my fingers worked best. I never know what I'm doing when choosing shades of foundation and at first I feared it was a little light and difficult to work in but actually the reality was that I was able to blend in quickly and easily. It felt comfortable but I feel I can't really gauge a foundation on it's own as I look so strange without the 'added extras'. My office toilets (and lifts) are often the place I look to see how my make up appears because if I'm pleased with what I see in those harsh lights then I must be doing something right and indeed even by end of the day I took a once over and there was little wear and things did have a glow about them which was great as already mentioned there was no skincare regime that morning to give a helping hand. Bourjois Radiance Reveal Concealer I liked immediately. I'm not especially into the stark light under eyes look hence my choice of medium, it also meant I could build up areas I felt needed it from the light to medium coverage foundation without things looking out of place. It hasn't held up too well as the day has gone on and there is some creasing and I'm more aware of the lines under my eyes today but again this could be in part to lack of eye creams in the past 24 hours. Despite this it doesn't feel dry and I'm not against trying this out a little more to see how it fairs. With a 3 for 2 offer on Boots I decided to pick up the old favourite of many a blogger, Bourjois Delice De Poudre. Another product I'd always wanted to try but could find no justification due to a healthy stash of bronzers and highlighters. In this instance there was no other justification than it was two products in one. I would prefer to use use with a stiffer, smaller brush than the EcoTools Powder Brush as I found the pigmentation quite light, that said using all over the face rather than 'contouring' has given some added colour needed from my perhaps too light foundation choice. I did want a specific blusher from L'Oreal which I'd seen at the weekend but this was not available so instead I went for the new L'Oreal Infallible Blush Trio in Soft Rosy. Using the aforementioned powder brush I swirled in all three colours and swept on cheeks. This was another hit and I loved the sheen it gave, maybe I didn't need that highlighter after all. In fact I can see me getting a lot of wear out of this. It's not as heavily pigmented as say my favoured Peaches and Cream blush from Mac but it'll be nice for lighter make up days or those where I'm wearing a red lip. L'Oreal also had 3 for 2 as part of their offers and another product I was keen to try was the L'Oreal Eyebrow Artiste Plumper in Medium/Dark. Regular readers will know I love Maybelline BrowDrama and it's a frequent repurchase and lazy day eyebrow choice for me but there is always the desire to try something different. On first use I was happy with the results. There is a slightly smaller brush than Rimmel's version and less product is dispensed, an issue I had with that one. The wand is certainly a more normal shape than Maybelline's quirky offering which whilst I have no particularly issues with L'Oreal's is probably more natural to use. I'm in the middle, well in desperate need of having my eyebrows threaded so I'm not working with good brows at the moment so it's difficult to speak too highly of L'Oreal Artiste Plumper but it did the job and I would be inclined to cast aside my Browdrama for this in future. Stay tuned. To make up my offer I picked up an eyeshadow quad from L'Oreal in Smoky. It's fairly typical of it's type and pleasing to use with the appropriate EcoTools brushes but I wasn't wowed. I perhaps should have brought a single shade and been done with it. Next I moved to the Revlon counter which was buy one, second half price to purchase one of their new mascaras. Revlon recently revamped their range, colour coding them by type. I choose Revlon Ultimate All in One Mascara in Black. After battling with the packaging (we all know how cumbersome Superdrug security stickers are) a rather unusual small wand. This is another product that will require more usage to form an opinion especially as I was so bemused by the teeny tiny wand. That said it lengthened and curled my lashes although there was some clumping that took some work to separate. The smaller wand did make it, not so much easier but more precise in coating the lashes. My favourite purchase was the Revlon Ultra HD Matte Lipstick in what I believe is Passion (I can't find a name on the tube). Again this was picked up to make up the offer and as a new product I was happy to try. 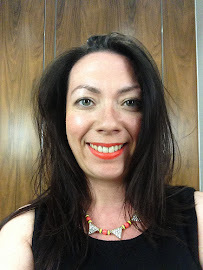 I went for a pink lip to balance out what could've been bad base and eye products without going gung-ho and a red lip. It smells amazing, glides on like a cream and dries down to a matte which has not left my lips a mess. And even better, it lasts. Numerous cigarettes, cups of tea and even lunch I popped to the toilet and saw it still in place. Admittedly it was now more of a stain than earlier but there was still something there, and not just around the edges like badly applied lip liner. I'll definitely be trying out some more colours from the range. Finally I needed brushes. As I mentioned I could've left it as products that were all easily applied with fingers but I'd rather pick products I wanted and add a set of brushes in than otherwise. I went for the Lovely Looks set by EcoTools, similar to this one. Having a glance over the offering it was cheaper at £11.99 to buy this than individual brushes or being more specific, it had everything I needed and the packaging is nice that it'll store nicely in my desk drawer. It even has instructions. They're not the best brushes I've ever used, nor will they replace favourites but when I'm in a pinch they're perfect and I can't complain about how my make up looked. Its quite possible as you read this post I have been continuing to use these products and form stronger opinions on them so stayed tuned on that. 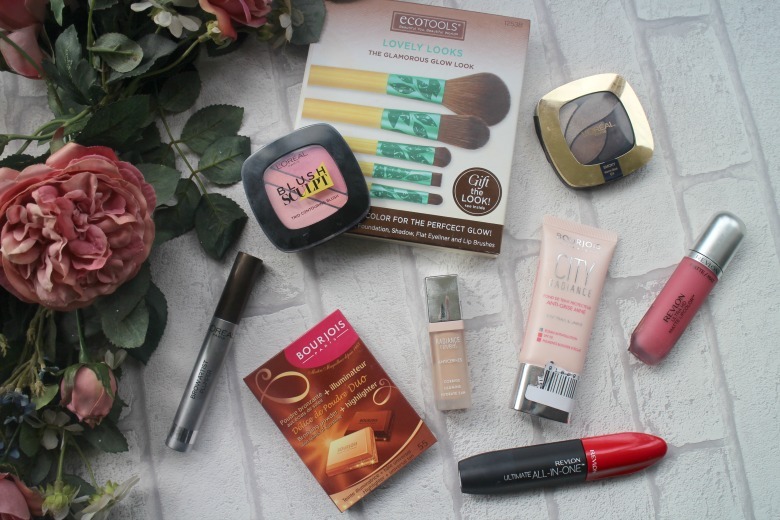 I hope you enjoyed this unexpected haul, more make up was the last thing I needed to buy! I should think so, I'm wearing it today for the second time but still want to use a little more to form my thoughts. Very amazing blog. Thanks for sharing with us.